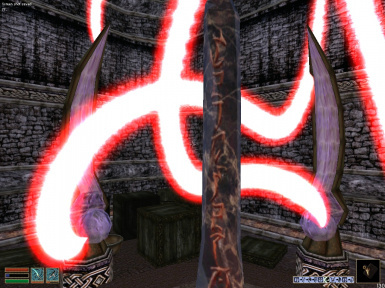 Replaces Propylon Pillars textures with crisp, hi-res textures. Optional download contains glowmapped textures. 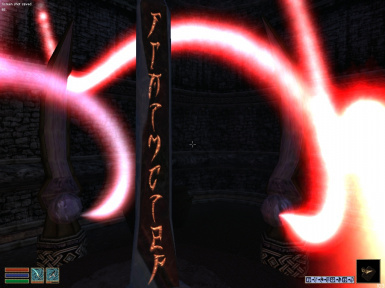 Replaces the textures for the propylon indexes and the Master Index (from the Bethesda Master Index plugin). 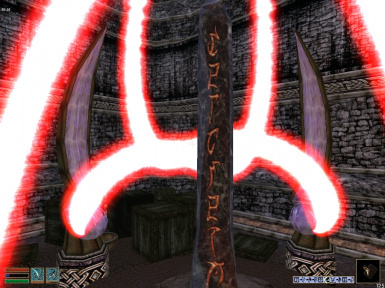 This mod contains new, hi-res textures for all ten of the active propylon pillars (found in the Propylon Chambers). An optional download contains glowmapped textures and meshes (courtesy of Plangkye). ++ "Falagmaryon" corrected; now spelt "Falasmaryon." ++ "Andraseth" corrected; now spelt as "Andasreth." + I used dongle's excellent "Oblivion Script" font. See the "Credits" section for a link. 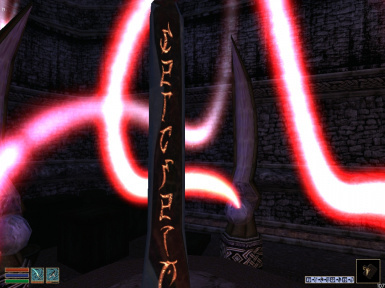 The Index Addon replaces the propylon indexes with a texture that matches the stone texture in the Propylon Pillar Retexture mod. 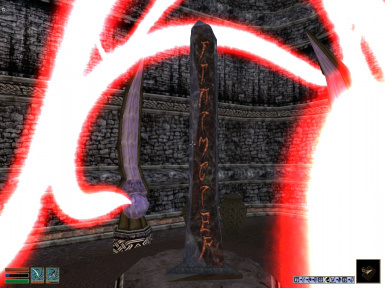 Also replaces the Master Index texture with a texture that maintains the same look and feel as the original texture. Propylon Index textures are 256x256 in .dds format. Master Index texture is 128x256 in .tga format (and needs to be in .tga to work correctly). If you do not have or do not use the Master Index plugin, the master index texture will do nothing. You can safely delete it. !! !NOTE: the Master Index texture WILL overwrite the vanilla texture. To keep the vanilla texture from being overwritten, rename it (such as to "tx_master_index_01_vanilla.tga"). This way, if you ever need to revert to the original texture, you can delete my texture, and rename the vanilla one back to its original name. + PPR_Normal: Contains a readme and 10 hi-res textures. + PPR_Glow: Contains a readme and glowmapped textures and meshes (20 textures, 10 meshes). 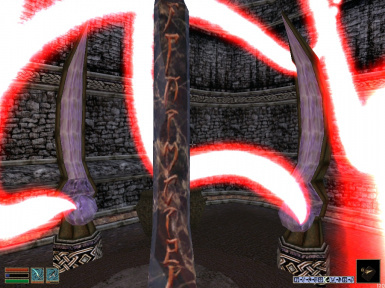 + PPR_Index_Addon: Contains a readme and new textures for the propylon indexes and the Master Index. This mod will conflict with another mod that modifies the exact same textures and meshes (see the "Uninstall" section of the readme for the names of the files contained in this mod). 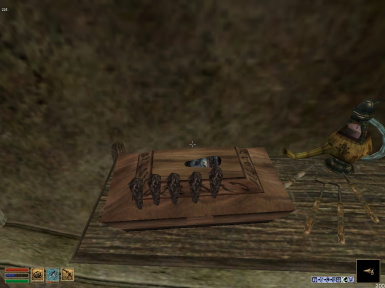 1.0, 2008/09/03 - Initial release. 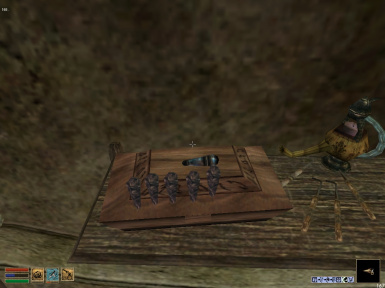 Thanks to Bethesda for creating Morrowind. Thanks to TESNexus.com for the a one-stop-shop resource for authors and players. Thanks to Planet Elder Scrolls for hosting so many magnificent mods. Thanks to the folks on the Bethesda Forums for their feedback and support. Thanks to Bluehair for creating the DDS Converter. Thanks to Photobucket for hosting my screenshots. Thanks to Adobe for Photoshop. You can do whatever you want with this mod but all I ask in return is that you give me credit if you distribute any part of this mod.